We've all seen DVD's, read books, and gone to conferences in-person, but if you're anything like me, you prefer to be shown how to do things in person. 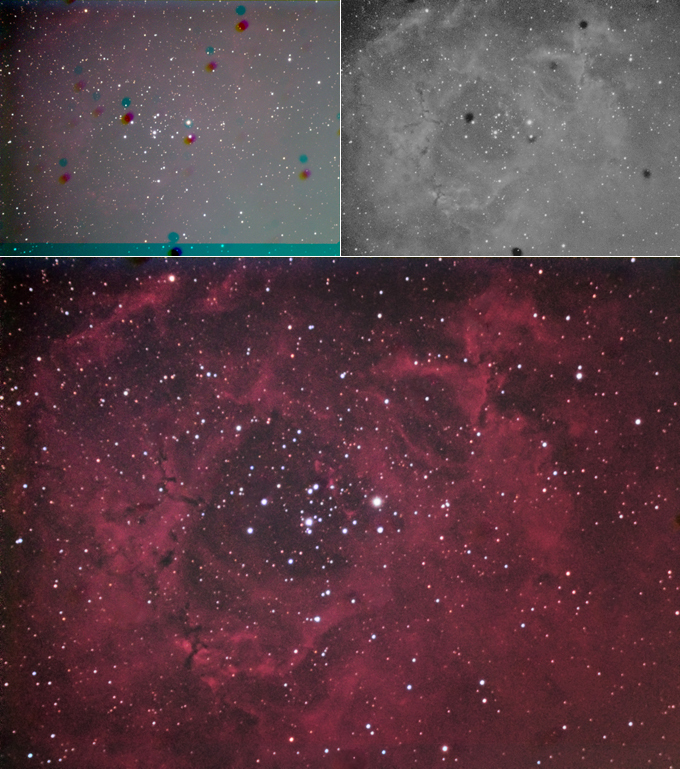 I'm offering tutoring that is dedicated to any level of astro-imager who wants to accelerate their learning curve, through hardware and camera setup, image acquisition, initial processing, and image finalization in Photoshop. The format would be a dedicated evening, say 2-3 hours. By using remote access facilities, we would collaborate on one system, either yours or mine. Individual bookings are $25/hour. Blocks of 5 hours or more may be purchased for $100, or $20/hour. If you have any interest, just drop me a note at neilfleming at hotmail dot com. Here is a 3D image of Melotte 15, part of the central area of IC1805. Use the "cross-eyed" approach to view this in 3D.